Introducing a 2 bedroom villa in Sangkat Slorkram, which has currently joined the rental market. 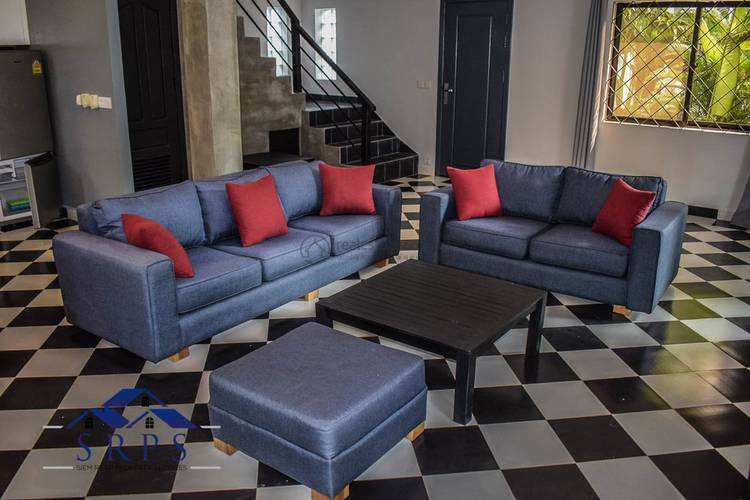 Featuring 2 air-conditioned bedrooms and 3 bathrooms with 2 garden view balconies, a beautiful modern-furnished living area with a comfortable sofa, flat screen TV, as well as an equipped kitchen including a fridge, cooking stove, washing machine, and dining table. Price inclusive of water and swimming pool, but exclusive of waste collection, internet, and electricity. Lease length: 6 months and 1 year leases available.